THE full story of how 168 young heroes from Kingsley, Northampton, gave their lives in World War 1 can now be told for the first time. For years, all that was known about the fallen on the Great War Roll of Honour in St Matthew’s church memorial chapel was their first initial and surnames. But thanks to a year of painstaking work by parishioner Martin Stone, the church now has fully researched files on every one of Our Brave Boys. He has provided St Matthew’s with their full names, where they lived, details of parents, in some cases their jobs, the regiments they joined, the battles they fought, their ages at time of death, and where they fell. There are also pictures of several soldiers, their medals, documents, and their final places of rest. Mr Stone’s meticulous work, with the help of his genealogist wife Lindsey, means St Matthew’s is the only known church in Britain to have fully researched ALL of its WW1 dead on such a huge scale. His files, completed to coincide with the 100th anniversary of the Armistice, will be presented to us at a special Evening of Remembrance on Wednesday 7 November at 7.00pm. Mr Stone – recently retired after a distinguished career in the armed forces – will talk to veteran BBC broadcaster Paul Vaughan and Fr Nicholas, about how he embarked on this historic project and the problems and triumphs he encountered. 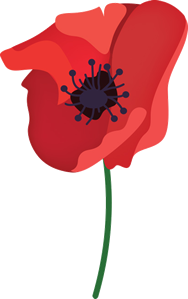 Called ‘WE WILL REMEMBER THEM’, this special evening will reflect on the amazing sacrifices these Kingsley boys gave for our future freedoms. Among the files is the tragic story of the three Hall brothers, Harry (31), William (28) and 19-year-old Percy from Lutterworth Road, Northampton. William, a private in the Hampshire regiment was killed in action in 1915. Harry (Cambs Regt and Notts & Derby Regt) and Percy (Royal Fusiliers Regt) died within 24 hours of each other in 1917 in separate conflicts. It is believed their father may also have died during WW1 leaving their mother Annie widowed. Another St Matthew’s soldier on the Roll of Honour is known to have died on the first day of the third Battle of Ypres, when 6,750 British men were slaughtered. It was one of the bloodiest days in British military history. 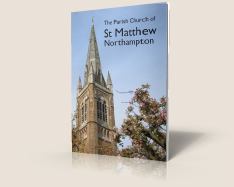 It is believed the fallen listed in St Matthew’s either lived or had lived in the parish, were baptised or married there, attended St Matthew’s Primary School, worshipped there or worked as church youth group leaders or members of church organisations. Their parents may have had links to the church. Mr Stone explained: ‘Sometimes the remaining families, the next of kin of these men, declined to receive the medals and records and asked for them to be destroyed. 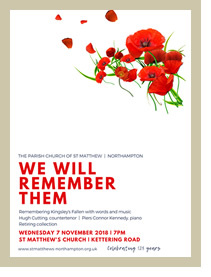 The dialogue for the evening will be interspersed with music by Howells, Gurney and Piers Connor Kennedy’s song cycle Rough Rhymes which is an exciting new setting of poems by the WW1 priest Geoffrey Studdert Kennedy. Fr Geoffrey was nicknamed Woodbine Willie for giving Woodbine cigarettes along with spiritual aid to wounded and dying soldiers in the trenches. Narrator Paul Vaughan, an expert on Woodbine Willie, will introduce the song cycle with biographical information. 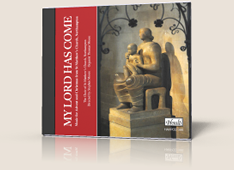 It features composer Piers Connor Kennedy, piano, and countertenor Hugh Cutting. Hugh is from the choir of St John’s College, Cambridge, and Piers from the choir of Winchester Cathedral. Also in church will be eight see-through perspex silhouette soldiers awarded as part of the Armed Forces Covenant Fund Trust theme in this 100th Armistice anniversary year – THERE BUT NOT THERE. The silhouettes will be strategically placed on church seats as a poignant representation of our fallen heroes. A massive cascade of hundreds of poppies handmade by members of the congregation and by local schoolchildren will hang proudly next to the memorial chapel.